He has the work experience in the field of teaching and preparing learning materials for renewable energy . 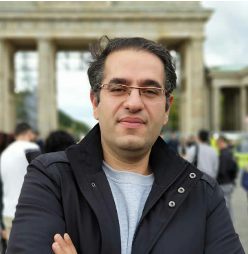 In Germany for Beuth University of Applied Sciences in Berlin in 2015, he prepared some modules for MBA of Renewables programs including the introduction and principles of renewable energy and its role in sustainable development. Moreover, Regarding his background in engineering, He worked in automotive industry and mobility research institutes. His current PhD thesis is studying the Role of Smart City Technologies in Urban Automobile Dependence and Changing Mobility Behaviour. He is the team member of GECI project (Green Energy Center of Iran). Seit Oktober 2016: PhD Student in Technische Universität Berlin Fakultät I - Geistes- und Bildungswissenschaften, PhD Arbeitstitel: "The Role of Smart City Technologies in Urban Automobile Dependence and Changing Mobility Behaviour"